Almost everyone I speak to has issues either falling asleep or staying asleep. It is rare to find someone that does not have this difficulty at least occasionally. I started having trouble sleeping several years ago. My mind often races as I am trying to sleep and it is hard for me to turn it off and settle in for the night. I have done a lot of research in the area of natural methods of falling asleep and have tried several to find things that work well for me. My approach is to start with the least invasive approach and scale up from there depending on the severity of the bout of insomnia. Lack of sleep can cause acute and chronic health conditions such as anxiety, depression, digestive issues, physical pain, even neurological and respiratory disorders. Insomnia can be caused by many of these same things and so it can become a vicious cycle and it is hard to determine after a time the chicken or the egg. I am going to start off by telling you the two things that seem to be the answer to everything and that no one loves to change: diet and exercise! Diet: Obviously avoiding junk food and eating healthfully goes a long way, but so does eating on a regular schedule. Our bodies are cyclical and will respond to patterns we intentionally establish. For instance, eating three meals per day at regular times and then going to bed at a specific time may help your body to know that it is time to settle down and sleep. Conversely, if you eat sporadically, or late at night your body may never know when sleep should fall into the natural rhythm of your day. Exercise: A tired body will sleep better. Physical exercise will release physical and mental stress. If you sit at a desk all day then you are probably not getting enough exercise. Even 5-30 minutes of movement per day can help to get your body relaxed enough at the end of the day to shut down and restore. Meditation: Meditation any time of the day can help to get your mind in the right space so that you are not worrying about everything when you should be sleeping. I spend five minutes of quiet time every morning to give my mind an easy start to the day. I also use the free Insight Timer app at bedtime and use guided meditation to jump start my sleep cycle. I may listen to a 60 minute meditation, but by five minutes in I am usually fast asleep. Is your bed cleared off and made? What is in your room? What do you keep near your head? It might be pulling your mind to other things and keeping you from sleeping. Who are you sleeping next to? How comfortable is your bed? Is it big enough? Is your room dark? Make your house dark at least an hour before bedtime and turn off all light sources in your bedroom. Homeopathy: Homeopathic Coffea Cruda is what I use on nights that I am feeling anxious and cannot turn off my mind. Coffea Cruda is homeopathically prepared coffee. So whereas a cup or two of coffee will have you wide awake with your mind racing, Coffea Cruda allows your mind to shut off as you drift off to sweet sleep. If a racing mind is not your issue, a homeopath can help you to find an individualized homeopathic remedy. 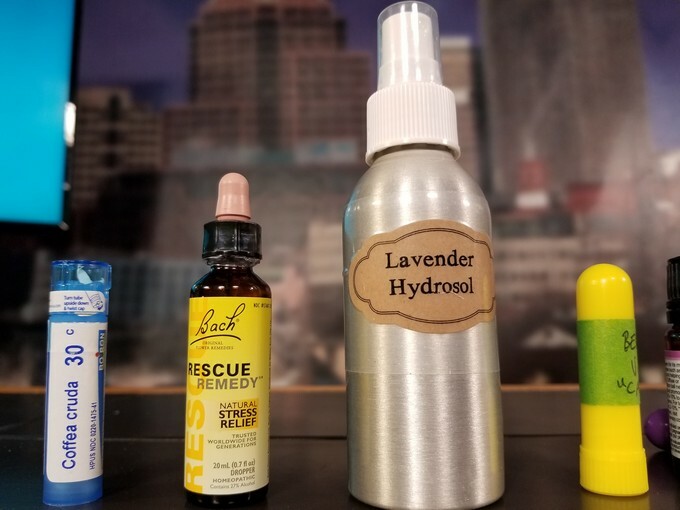 Rescue Remedy: Bach’s flower essences are a gentle way of helping with anxiety and stress and other issues on the mental plane. Rescue remedy is available in many forms including a sleep version. Use other forms throughout the day as you are experiencing high periods of stress. 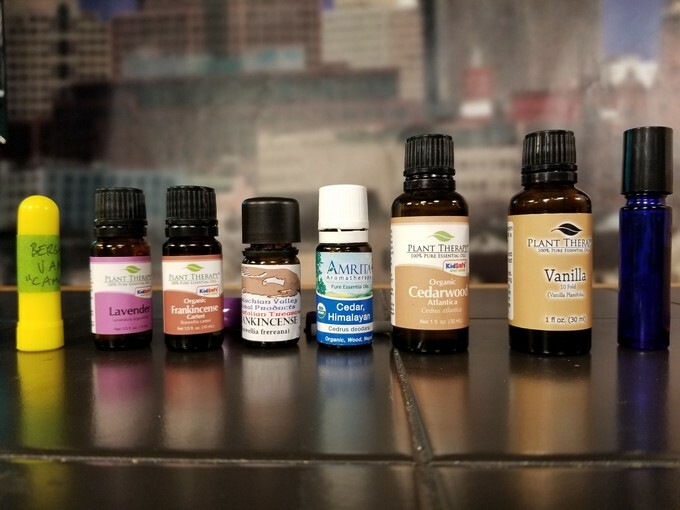 Aromatherapy/Hydrosols: I like to keep a small spray bottle with lavender hydrosol on my nightstand and will spray my pillow and sheets as a pleasant way to aide in sleep. 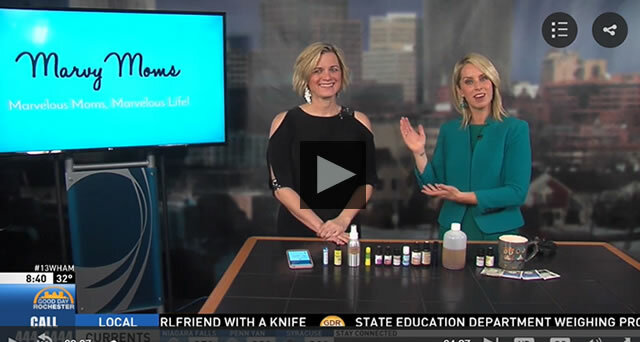 Hydrosols are the water soluble counterparts to essential oils. 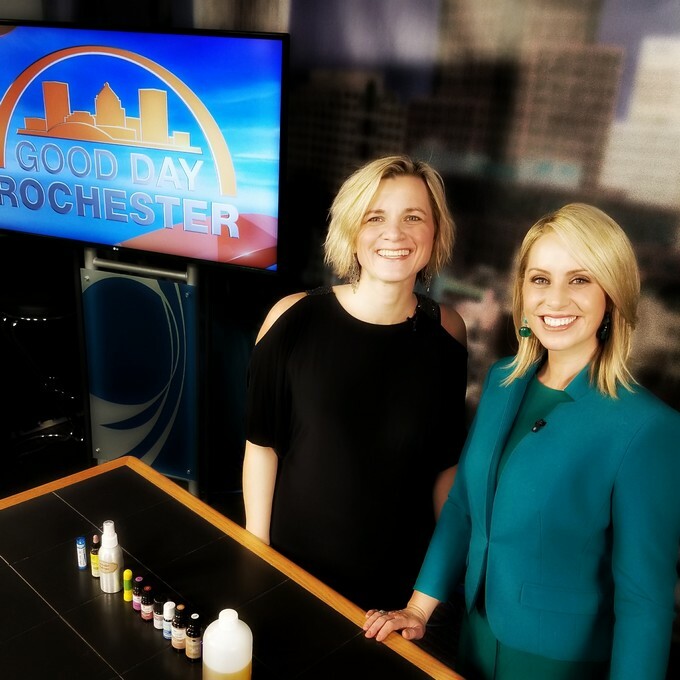 I have taught several classes where not a single student that smelled the lavender hydrosol knew that it was lavender. The scent is distinct and effective for sleep. I like to add different combinations of these to a roller bottle and apply to my wrists and chest before settling in for the night. On particularly difficult nights, I get out the big guns and use Valerian essential oil combined with Sweet Orange. 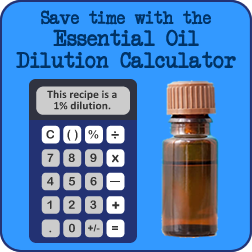 It does not take much Valerian (1-2% dilution) to be effective. Too much and I wake up groggy with a hangover-type feeling. Tea: Teas can be a wonderful way to sip your way to sleep at night. Just be sure that you do not drink too close to bedtime or you will be waking up to use the bathroom! 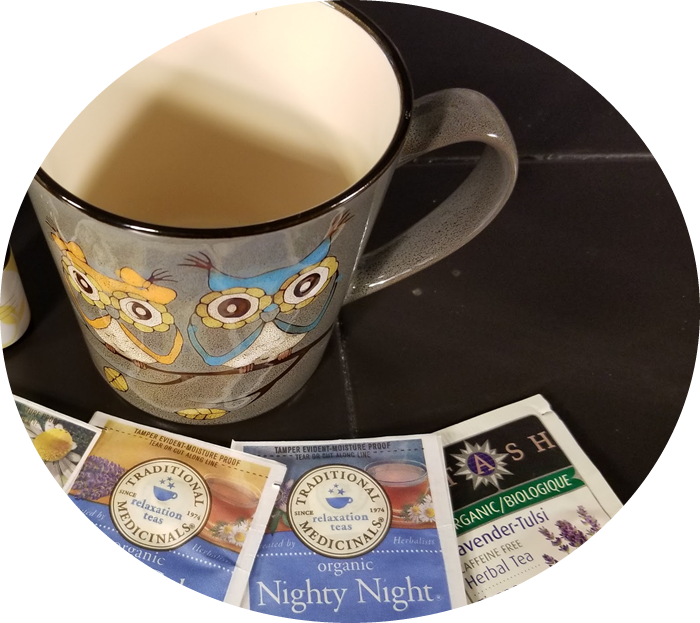 Several teas are made just for sleep such as Traditional Medicinals’ “Cup of Calm” and “Nighty Night” teas. What helps you to fall asleep and stay asleep at night? Let me know if you try any of the methods listed above and how they work for you!